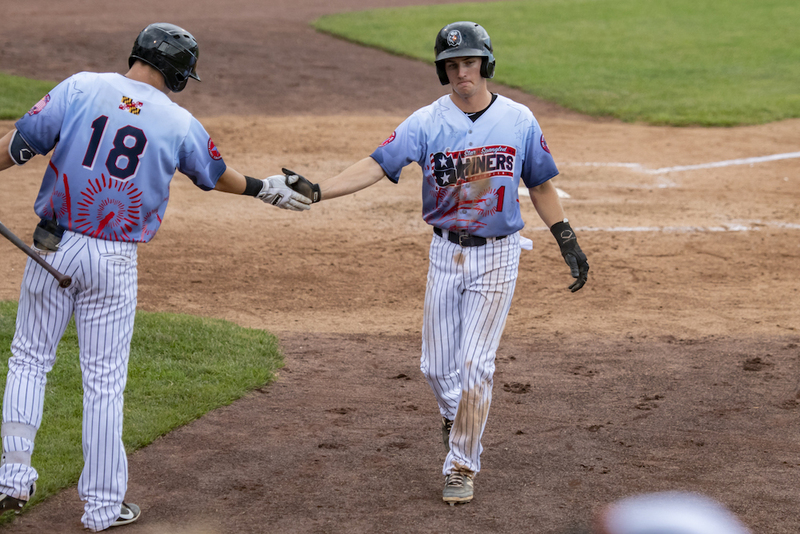 Adam Hall and his Aberdeen IronBirds teammates shine in a 5 – 2 win After All-Star Break against Lowell. Aberdeen started off the game with fireworks across all parts of it against the Lowell Spinners. They took a 5-0 lead and held on to it until the seventh when Lowell scored two. Jose Diaz got his first save in a 5-2 win. In the first, Jean Carmona led off with a base hit. Anthony Santander walked after him. J.C. Escarra dropped a single, and after some confusion on the base paths Carmona scored. Santander came home on an error that put Robert Neustrom on first. Escarra scored on a double-play ball from Cody Roberts to make it 3-0. Hall drilled his first homer of the season over the left field wall on a first pitch fastball in the second inning. With the bases loaded and one out, J.C. battled it out against Taylor Ahern. He saw eleven pitches and dropped an RBI single to make it 5-0 through two. You could hear that across Ripken Stadium on three different defensive plays. Nick Horvath retired everyone in the third with two diving catches and doubling up Jonathan Ortega on a hit and run. In the fourth Robbie Thorburn gunned out Tyler Dearden at the plate to end the inning and keep Lowell scoreless. It took seven innings for the Spinners to spin. Xavier Legrant and Grant Williams would get the RBIs that enticed Lowell to threaten the lead. Jose Diaz got his first save of the season by allowing one baserunner on a full count walk and getting Legrant to pop out and end it with a 5-2 Aberdeen victory. Hall finished the game going 2 for 2 from the Plate, with 1 Run, 1 Hit1 Home Run and 1 RBI, he also Walked twice.